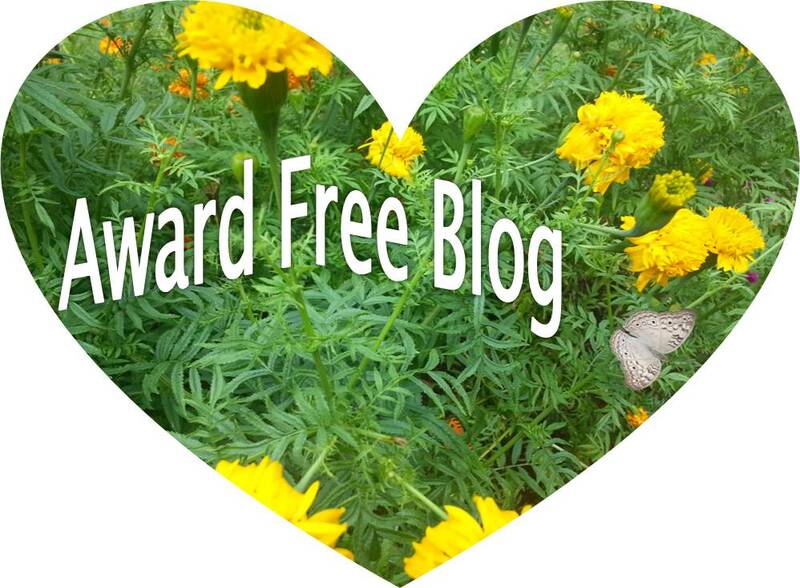 I would like to let you know that I am making my blog an award free one. I really enjoy getting these wards. I was very much excited to receive my first award. Many of you have nominated me for a lot many interesting awards. I am really thankful and truly appreciate your time taken to let me know that you like and enjoy my blog. I have acknowledged those awards in the best possible way till the last month. But now there are a few award posts pending in my list. Recently I was unable to respond to them due to a number of reasons including time constraints. I do appreciate the nominations, and I do wish to share it to other cool bloggers too. But now I don’t really have the time to do the awards justice. I will look for other ways to try and give blog love around– visiting your blog and leaving comments that are thoughtful, and linking up to cool posts etc. Just know that my reward is through you being here, enjoying my work, leaving your comments and being a part of my life. That is the best reward which I could ever have. I’ve been very up and down with my thoughts on awards. So I have finally made a decision on this and My blog is now an Award Free Blog. Please do not think me rude. I hope you understand and thank you for your support, kindness and bloggy friendship. I think Ill re-blog this in a bit! Not that I am showered with awards, I am just lazy as hell! Okay. No issue swetha. Carry on..
You are too sweet to be rude!!! David…it’s you who made me to grab my first award. I´m very VERY very honored!!! thanks a lot David..Comments are much precious.. I completely understand. I have experienced a feeling of imposition passing these awards along and do not participate either. I greatly appreciate the thought, but I care too much about fellow bloggers to potentially create work on top of their blogging efforts. Thanks a ton for your understanding words. Thank you. I am glad that you are supporting me. I like this so much I am awarding you the Award-Free Blog Award … only kidding, you do it for love of writing like me … keep up the good work! tons of thanks for your understanding..
you said it right reading my mind. Awards are a indeed a great motivation, but if we can’t give justice to it, better make it an award free blog. And definitely the pleasure I am getting while reading a comment is much much valuable..
It’s totally understood because the honest truth as that it takes up so much of one’s time to respond to. For now, I have decided to do one long award post every quarter until I decide what exactly I want to do about it. Well done and I don’t think anyone should think another rude for decided not to receive awards. Thank you so much. Your words means a lot. Awards are so time consumming i am glad i dont do them any more eaither. But it makes sense because you are such an amazing blogger yourself. You deserve all these awards! Keep visiting 😀 I love your comments. I am so thankful to you..as you thought about me. thanks a ton…:) I really appreciate your understanding and consideration. have a good day!! thank you for your understanding. In fact many thoughts ruled me when I made it an award free, including time constraints. I gave up the awards a long time ago! At first I was honored until I realized it was just too time consuming. They are cute, but really nothing more than a pyramid type thing that keeps wordpress looking like it’s giving out something. I just tell someone when they have a great blog instead or comment on it. That’s a way to honor their blog in a better way!! I don’t think it’s rude at all. I completely understand. It is quite time consuming and I agree, there are other ways to share the blog love. They are stressful! I feel I barely have time to write on my blog much less do the awards. I think visiting other blogs and leaving thoughtful comments is plenty of an award! 🙂 Take care and Best of Wishes–Lindsey V.
It takes courage to declare so and you did it wonderfully with your words. Its my first visit on your blog and loving everything around it. Thanks megha.. I am honored with your visit..
LOL! Nope! I don’t think you rude!